Special Forces brought World War II to areas once thought safe from attack and fostered incredible heroism. The concept of elite or “special” forces matured during World War II, and the term became synonymous with extraordinary heroism, particularly against long odds. 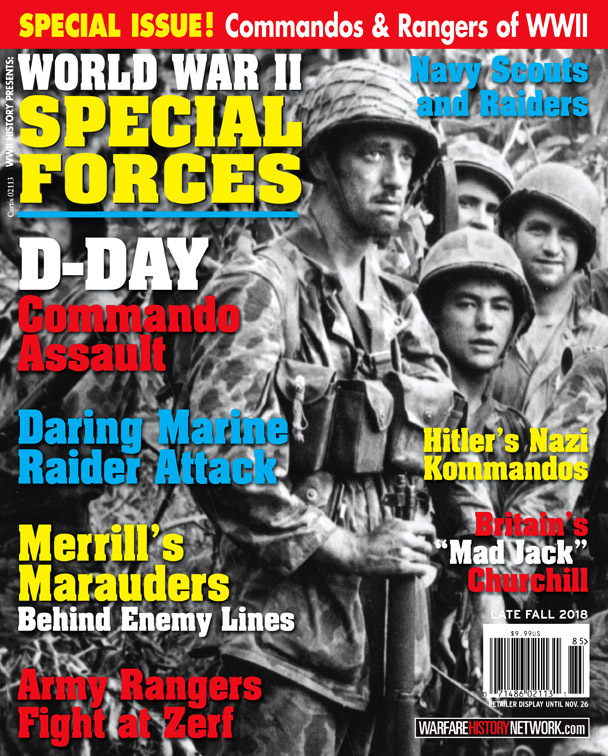 The editors of WWII History magazine have put together a Special Issue, World War II Special Forces, entirely devoted to these units and their actions during the war. In the summer of 1940 when Britain stood alone against the Nazi war machine, Prime Minister Winston Churchill was determined to strike a blow and bolster the morale of his people. The solution, he believed, lay in the deployment of special forces to wreak havoc on the Germans whenever and wherever possible. “I look to the Joint Chiefs of Staff to propose measures for a ceaseless offensive against the whole German-occupied coastline, leaving a trail of German corpses behind,” Churchill ordered. “Enterprises must be prepared with specially trained troops of the hunter class who can develop a reign of terror down the enemy coast.” The prime minister was unaware that an audacious program of special forces development was already in the works, the brainchild of army Lieutenant Colonel Dudley Clarke. Endorsed by Field Marshal Sir John Dill, chief of the Imperial General Staff, the effort took shape quickly. The exploits of the British special forces in World War II are legendary. Author Robert Barr Smith describes in detail one of the most successful of the early British Commando operations, the attack on the Norwegian town of Vaagso. The raid caused Hitler to divert thousands of German troops to Norway to defend against these marauding men who fought a clandestine war of shadow, of hit and run. Author and editor Flint Whitlock sheds new light on the British attack on the German dry dock at St. Nazaire, France that knocked out critical repair facilities for the rest of the war. A combined force of commandos and Royal Navy sailors attacked the heavily defended dock, and rammed an obsolete destroyer laden with explosives into the dock gates. Using delayed fuses, the destroyer exploded the next day, putting the dry dock out of commission and killing 350 German officers and men. Of the 611 men on the raid, only 228 returned to England, their amazing attack is considered the greatest raid of the war by the British military. In the United States, the idea of special forces also found fertile ground. Following a conference of Allied leaders at Quebec in the summer of 1943, perhaps the best-known American special forces formation of World War II was born. The 5307th Composite Unit (Provisional) was better known by the moniker that paid homage to its commander, Brigadier General Frank Merrill. Merrill’s Marauders were a long-range penetration force that originally numbered fewer than 1,000 highly trained and motivated men. 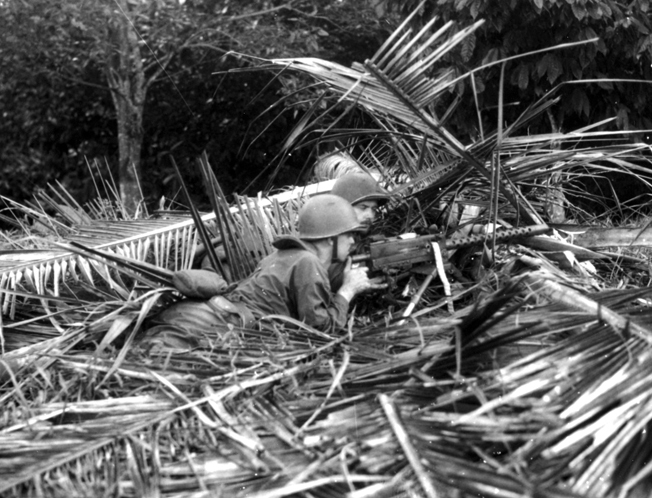 These intrepid Americans fought behind enemy lines for days, enduring not only combat with the determined enemy, but also the privations of jungle warfare. 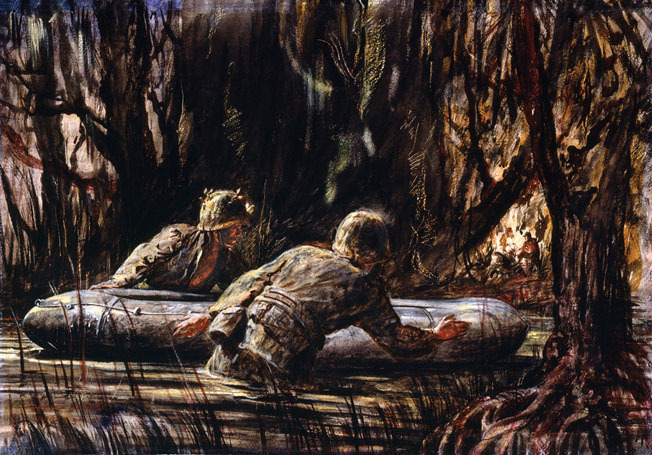 As Al Hemingway describes in this special issue, Merrill’s Marauders forged an enduring legacy of heroism in their jungle crucible, one that carries on in today’s U.S. Special Forces. The U.S. Rangers were formed in the summer of 1942, and the original recruits trained in Scotland and Northern Ireland with the British Commandos. Their first combat was with the British and Canadian raid on Dieppe in August 1942. They went on to undertake such hazardous operations as the seizure of Pointe du Hoc on D-Day, June 6, 1944, and the swift capture of Chiunzi Pass in Italy. Less well know is the 5th Ranger Battalion’s advance behind enemy lines to seize a critical German supply and communication route near Zerf, Germany. Author Nathan Prefer describes the nine days that the Rangers repelled repeated German attacks, while taking heavy casualties, until relieved. The U.S. Marine Corps formed a short-lived but heroic force of Raiders that fought with courage in the Pacific theater, and the Amphibious Scouts and Raiders were the forerunner of today’s U.S Navy SEALs. The U.S. and Canada combined army personnel to field the 1st Special Service Force, the famed Devil’s Brigade. Every major power engaged in the conflict did organize some type of special forces. Germany authorized the units led by famed SS Major Otto Skorzeny, and the Brandenburg Regiment conducted covert operations in Europe, Russia and North Africa. 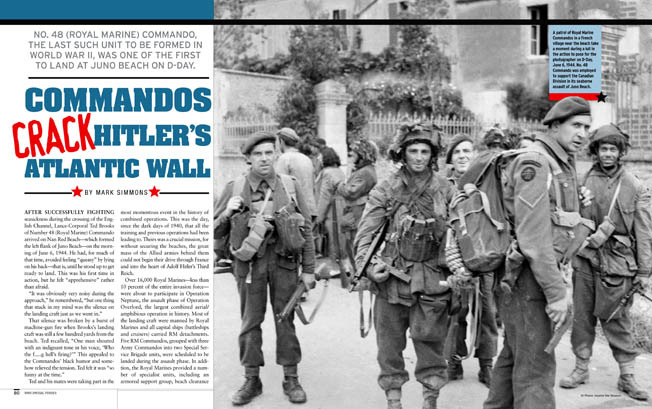 You can find out more about these amazing raids, and the brave men who volunteered to serve in these units in our latest special issue, World War II Special Forces. On sale now. Tags Africa, American, Americans, army, Britain, British, British Commandos, Canada, Canadian, CIA, D-Day, Dudley Clarke, England, Europe, France, frank merrill, general, German, Germans, Germany, hitler, Intrepid, Italy, military, navy, Navy SEALs, Nazi, north africa, Norway, OSS, Otto Skorzeny, Pacific, Pacific Theater, Pointe Du Hoc, POW, Raid on Dieppe, Rangers, Reign of Terror, riga, Russia, scotland, special forces, The Pacific, Thor, Tory, Troy, United States, war machine, Wii, WIN, Winston Churchill, World War I, WWI, WWII, wwii history.